● With a presentation by Haringey’s project consultants on ‘Liveable Crouch End’, the major new transport and street infrastructure project for Crouch End. ● We’ll be asking how Crouch End should spend £100s of thousands of Community Infrastructure Levy funds? – And don’t forget, the clocks go forward on the 31st! *To help us manage numbers please register for a free ticket through Eventbrite (but you can still fetch up on the day). All are welcome at the AGM, hope to see you there. All Crouch Enders can contribute whether they live here, work here, carry out business here, are in education here, or own property in the area. Members of local societies and associations are welcome. Statement: I wish to stand again for the CENF Executive Committee. I am currently Secretary of the group and will offer to continue in that position if requested. 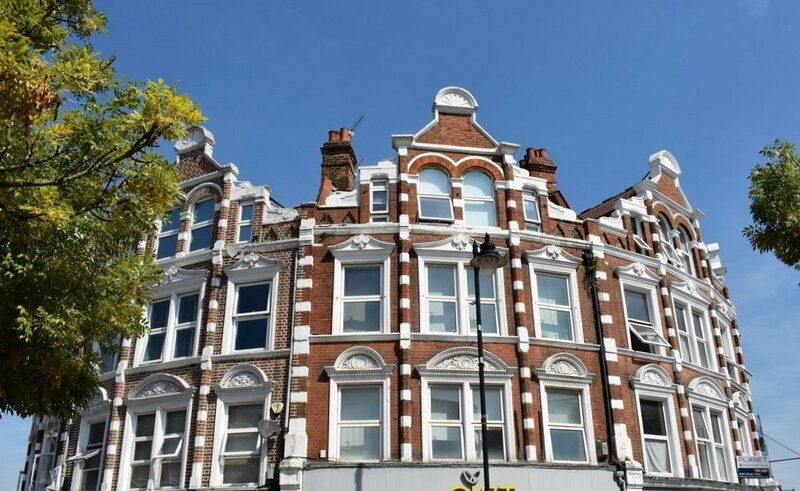 CENF has an important role in both disseminating knowledge about developments in Crouch End and attracting enhanced investment into the area through a Neighbourhood Plan. As a resident of the area for 40 years I will try to contribute what I can to see its improvement. Previously I was a councillor for Crouch End for 8 Years, and a former deputy chair of Haringey Planning Committee. Statement: I have been a resident of Glasslyn Road, Crouch End, for 18 years, and before that lived just over the hill near Archway. I am now retired, having previously worked in the computer industry for nearly 40 years. I have been the Treasurer of the Neighbourhood Forum for the past three years, and I have been closely involved in drafting the Environment section of the proposed Neighbourhood Plan. I am also a committee member of CREOS (Crouch End Open Space), a charity whose purpose is to conserve the Crouch End playing fields, and so I have a particular interest in protecting the green spaces in the neighbourhood. Statement: Resident in Crouch End for 30 years, with a teenage son schooled at Coleridge and Highgate Woods, my interest in CENF stems from a passion for the local area and a belief in civic engagement. An active member in establishing the Neighbourhood Forum, I hope to continue a pragmatic advocacy of all things Crouch End. My interests are in planning, the built environment, heritage, and I work with heritage casework. I’m I have no political affiliation and have been a Committee and steering group member of CENF since its inception and have coordinated the Economy working group. Mark Afford is currently Chair of Crouch End Neighbourhood Forum. 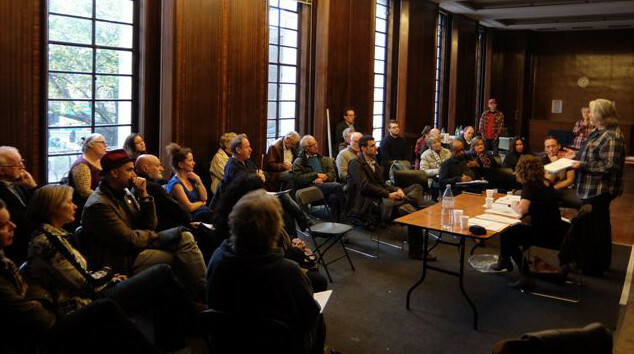 Statement: I have been a member of the Crouch End Neighbourhood Forum for three years and hope to continue and help write the neighbourhood plan, in order to ensure Crouch End receives the maximum possible community element of the Community Infrastructure Levy, including that from the sale of Hornsey Town Hall, is spent in Crouch End. I moved to London from Scotland in 2013 and discovered and fell in love with Crouch End four years ago. I have been involved in community groups for most of my adult life, as chair of my area’s community council in Scotland and secretary of the management committee of my local village hall. I am also a member of Crouch End Players, for whom I have produced, helped direct and acted in a number of shows. Professionally, I am a marketing manager in the Financial Services sector, specialising in proposal/bid management. 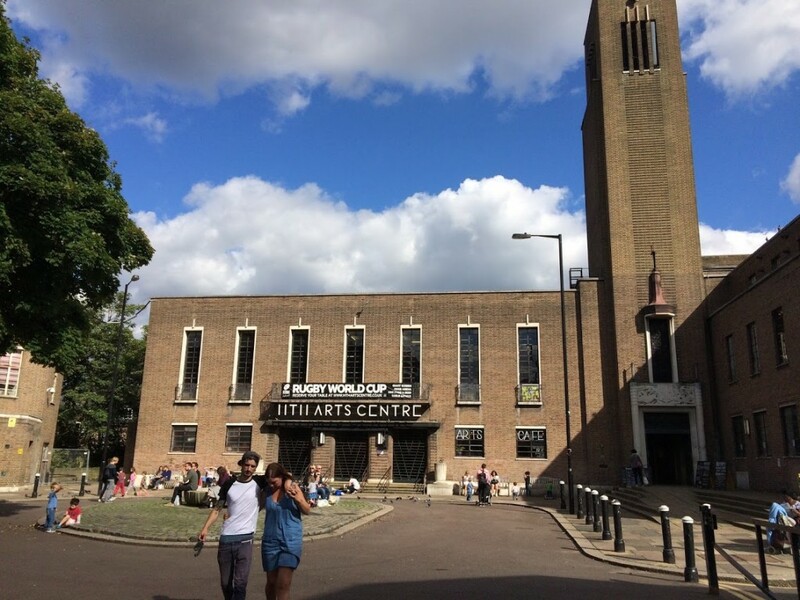 Statement: I would like to continue on the Forum, doing what we can to help engage Crouch Enders in planning the future for our wonderful neighbourhood. I have lived in the area since 1980 and for 27 years at Mount View Road. I have professional experience of housing and planning, with a great interest in neighbourhood planning. My first job was as co-ordinator for the Covent Garden Forum of Representatives, which was the neighbourhood voice in planning Covent Garden’s future in the mid 1970’s. I’m a (non Exec) Director of The Academy of Urbanism, passionate about improving placemaking, and a housing and regeneration consultant with over 30 years’ experience of neighbourhood renewal, effective community engagement, urbanism and housing for older people. I have held senior Housing positions with London Boroughs (Camden and Lewisham) and I’m a member of Catalyst’s Housing Group Housing Experience Committee. Statement: I was born in Weston Park where my family had a grocery shop. I attended local schools and my first job was with Haringey council as a gardener. I served as a Crouch End Ward councillor for twelve years until I stood down in 2104. During that time I was involved in many planning campaigns and helped set up the HTH Community Partnership Board which became the Creative Trust. I continue to have a wide interest in local affairs, planning, transport and health and more recently have been a member of the HTH Appreciation Society. Since CENF’s inception in October 2014, I was chair, standing down late last year. I look forward to further involvement as we continue the work of consulting on and writing the Neighbourhood Plan and responding to the challenges that Haringey and developers continue to toss in our direction. I am an Associate of the Men’s Health Forum, Chair of London Patients’ Voice, a trustee of the HTH CIC and on the HHS Publications Committee. Statement: I’ve lived in Crouch End since 1982. I liked it the way it was then, and I still like it the way it is now. I hope I’ll like it as it will be in the future, but it doesn’t do to be complacent. Statement: I am interested in nominating myself to join the Executive Committee. I am an architect and a Partner at Squire and Partners, an award winning, international architectural practice with significant experience in development in London. Along with my family I have lived in Crouch End for over 15 years and we all enjoy everything that this vibrant neighborhood has to offer. With over 20 years of planning and development experience I feel that I could make a positive contribution to improving many aspects of our already great Crouch End. Statement: I’m interested in getting involved because I’ve lived here in Crouch End for more than 33 years, and I feel it’s about time I made an active contribution to the place I consider home. I’ve been interested in the use of spaces for a long time, too, partly because of personal mobility problems, which have made me more aware of how we negotiate spaces, and partly just general interest, which every so often I’ve managed to apply professionally. For instance I worked as Education Officer at The Building Exploratory, an education and research centre focusing on architecture and the built environment, for several years, where I encouraged children and adults to think about and question the places and spaces around them. The skills I’d bring to a post on the committee include writing and proofreading – from posters and flyers to reports and applications – putting together and making presentations, and organising events: at The Building Exploratory I set up a summer school, a series of artist-led workshops, for several years, and a few months ago I headed a workshop at one of the libraries I work at – I work part-time at Haringey’s public libraries – in collaboration with an arts charity based in Holloway. I really look forward to being able to take on a new challenge and get involved locally! All Councillors representing the Crouch End Ward, and one each (nominated as a representative Councillor) for Hornsey, Stroud Green and Muswell Hill Wards, which have a section of their wards in the Crouch End Neighbourhood Area, are non-voting members of the Committee. Excellent , a chance to set my own agenda without going through the committee. My nomination statement: “I’ve lived in Crouch End since 1982. I liked it the way it was then, and I still like it the way it is now. I hope I’ll like it as it will be in the future, but it doesn’t do to be complacent.